Customer loyalty programs are programs which reward your customers for shopping at your store. They are geared towards repeat customers, and are an extremely viable way to boost sales. These programs are also effective at showing customers you care and want to thank them for their business. 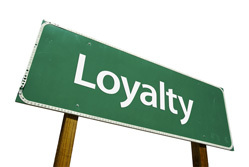 While there are numerous ways to set up these programs, below are four of the most popular types of loyalty programs. The following have been proven to work at boosting sales and gaining repeat sales. This type of loyalty program relies on points. Points are earned through purchases made in your store, based upon the amount of money they have spent. These points are accumulative, meaning that customers can build them up over time. Popular options include on point per dollar spent, or one point per ten dollars spent. Points maybe equivalent to anything between ten cents and a dollar. Most often, this corresponds to the amount of money needing to be spent. For example, if a person must spend ten dollars to earn one point, those points are usually worth a dollar. If a person must spend a dollar to earn one point, each point is usually worth ten cents. These points can be spent in one of two ways, depending on how you set up your program. The most popular way is that these points can be spent like cash in your store. Let’s say, for example, that a person has spent one hundred dollars in your store. You have set up your program to where they earn one point (equal to one dollar) per ever ten dollars spent. This customer now has ten points, equal to ten dollars. They can apply this to their next purchase. The second option is that these points can be spent towards special items that are only available through your points program. This is similar to having tiered rewards. The difference is that this relies on points while tiered rewards relies entirely on money spent in your store. Coupons are an effective way of rewarding your customers. For this type of loyalty program, people sign up to the program in order to begin receiving special coupons only available to them. The most popular option for receiving coupons is that your customers will receive a certain percentage off their next purchase. This is usually determined according to how much they have spent in a single purchase. For example, a customer may receive 5% off their next order when they spend $20 in a single purchase. This would continue to rise at a fairly achievable rate. They could receive 10% off when they spend $30, 15% off when they spend $40, 20% off when they spend $50, and so on. The main factor in this type of loyalty program is that customers usually have to spend a certain amount of money in a single purchase instead of this amount being accumulative like most other types of loyalty programs. This is, of course, just a basic idea. Your tiered rewards may be much different than these. The idea is that customers can choose which reward they want. Once they use a portion of the money they have spent, they amount of money is taken away. For example, if a customer has spent $200 in your store and selects a reward for $175, they would then only have $25 accumulated towards other rewards. Your rewards may go up as high as you would like them to. Loyalty cards are probably the most prevalent type of reward program out there right now. It is easy to set up, easy to maintain, and extremely easy for your customers to track how close they are to receiving their reward. Customers carry these cards around with them and receive a punch out for every time they do what the cards ask of them. There are two types of loyalty cards, outlined below. The first and most popular type of loyalty card is to receive a free product. A customer will receive a punch out for every product they purchase. Typically they must purchase between ten and twenty of something in order to receive a free product. This is best used in places like coffee shops, where the products are all similar. Once a customer has bought the specified number of products they can turn in their card for a free one. The second type of loyalty card is where customers receive a punch out based on how much money they spend. This type of loyalty card is more prevalent where stores have a diverse amount of products. The most popular option is where customers receive a punch out for every ten dollars they spend in your store. When they receive between ten and twenty punch outs they can earn a percentage off their next purchase or a specific amount of money to spend for free in your store. Customer loyalty reward programs are a great way to boost your sales and show your customers that you appreciate their patronage in one fell swoop. It doesn’t matter which type of program you execute. All that matters is that you do set up a program so your customers can begin earning rewards and you can start reaping the benefits of repeat sales. It is a winning situation for all parties involved.